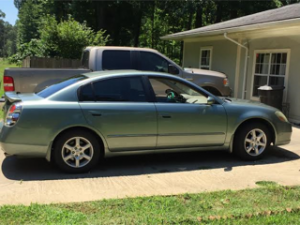 2005 Nissan Altima Sedan 4 door, New Tires, Loaded to the Hilt, SUPER CLEAN. SUPER SMOOTH Altima. Will even consider a trade in on it with $1800 cash to go with it. Need to Sell -for Personal Reasons-Come and drive it , check it out–It is a good car. This entry was posted on Friday, December 16th, 2016 at 12:41 am	and is filed under Classifieds. You can follow any responses to this entry through the RSS 2.0 feed. You can leave a response, or trackback from your own site.